That’s one of the top five questions I get asked over and over again. It’s a tough question to answer, and my answer is always nuanced and dependent upon that author’s audience and ideal reader. Really, it comes down to whether your book helps solve a problem for your reader, or if it helps them improve their life. Luckily, there are a few simple ways that you can improve your manuscript. So today, I’m giving you a little bit of insight into my thought processes as an editor and sharing three ways that you can expand on and improve your nonfiction book manuscript. These three strategies will help you write a better book — a good book. If you want to make sure your book helps your readers and helps you build a relationship with them, make sure you listen to this episode. In this episode, I’m here with some great editing tips for you to help you improve and expand on your nonfiction book manuscript. My goal for the episode is to teach you how to do a little bit of self editing. I do a fair amount of editing with my clients in several different ways. The first place I always start is developmental editing. I work with my clients to help them improve the content of their manuscript and make sure that their manuscript is meeting the goals of their book. What do I mean by the goals of their book? I mean specifically what they want their reader to have learned or to understand or to believe at the end of their book and so sometimes when an author writes down a first draft, it’s really great. It just needs a little bit of extra something to be added to it to make it really phenomenal and to make it a book. That’s good and I know a lot of you worry about this and think about this as you are writing because you asked me this question all of the time. How do I make sure that my book is good? How do I make sure that people will actually want to read my book, and so today I’m going to give you three ways that you can expand and Improve Your manuscript to make sure that your book is good and to make sure that it is something that somebody will want to read and to make sure your book is actually going to help your readers, which ultimately is I’m sure your goal for your book. So what are those three ways that you can expand upon and Improve Your manuscript? The first one I want to talk about is stories. So the human brain is hard wired for story, and you may have heard this before, especially a lot of people who talk about building businesses and building relationships with potential clients and customers. They talk about the power of story and so if you can really pull your reader in with stories that help them connect with you or that helped them connect with maybe people who you’ve helped, then that really forms a strong connection and it makes your book more impactful and it makes your book a great read to. So a couple of notes real quick before I dive into this: I do encourage you to go back and listen to Blogger to Author Podcast episode number 73. I had a great interview with Gabriela Pereira and we talk about storytelling there. She is the founder and instigator of DIY MFA. 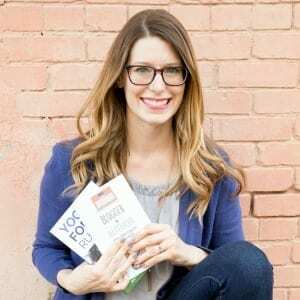 She knows a lot about storytelling and I think that you’ll get a lot out of that episode if you want to learn more about story and how you can bring into your nonfiction book. So again, why story stories are going to help you build a better connection with your reader. And I’m sure that you’ve experienced this yourself and books you’ve read. And if you’re currently reading a book, well then, especially if it’s a nonfiction book, think about the stories that the author has included that really helped drive home points to you. And another point I’d like to make here is that this is what memoir is all about, especially a memoir that is meant to inspire you or teach you something. And one particular example of this that I love is Shonda Rhimes’ book, Year of Yes. I absolutely loved that book and she taught these really valuable points and lessons, but she used the stories of her life to tell them and to teach them. And that’s incredibly valuable. More than if somebody were to sit down and say, okay, well, yes, you need to be more open to opportunities because of X, Y, and Z. But instead what Shonda did as she told stories from her own life where she opened herself up to new opportunities and how it helped her not only be a happier person, but it helped her tremendously with her own success as a female business owner and really is a powerhouse in the entertainment industry. So that’s one example. Really. I know of all sorts of health and wellness books and business books and just books and many genres where the author will pull in stories to help make a point and just to help build that connection as well. And this happens particularly if you can get a little vulnerable, especially with your own life and open up to a time where you were struggling with something, especially if it’s in relation to your book. So for example, say you’re a health and fitness coach, but back in the day you weren’t so healthy and either you know maybe you were overweight or maybe you just were eating really poorly and you weren’t feeling good and you were feeling tired all the time. Well, if you tell that story and talk about how you turned things around, but more importantly, if you dig into what you felt during that time that you were struggling. If you dig into the feelings and just the frustration or overwhelm or disappointment or shame or whatever it was you were feeling. If you dig into that with your words and really describe it, you’re gonna. Pull your reader in and more than likely your reader is experiencing these same feelings and so what that does is it gives your reader this perspective that, hey, this writer, this author, they know what I’m all about. They know what I’m experiencing, and that makes them trust you to lead them through the process. If you really know where they’re at now, then you can help them get through it and so that’s particularly powerful if it’s your own stories, but you can even use client stories as well and just again tighten as much of the emotion and just try to get them in the moment of what was going on. Particularly if you’re selling a story or telling a story of transformation. You need to really make them feel like they’re in it with you or with whoever the story is about whoever’s the protagonist of that particular story and pull them in. And again, it’s these stories that build connections that build, that know, like and trust factor that makes them want more from you. Not only more from your book, but then also that’s going to make them want to work with you. And New and different ways and it’s what’s going to get them into your course or services or program or whatever it is you offer. So story is an incredibly, incredibly powerful tool and so I’d like to see you look through your manuscript and think through ways that you can include story if you haven’t or put in a new story, whether it’s one from you or one from one of your clients, or if you’ve already included stories, can you expand on them? Can you make them more vibrant? Can you add more detail so that your reader feels like they’re actually in that moment with you and by developing those stories and by adding to them, it’s really going to add an extra dimension to your book that’s going to make a phenomenal book that your readers are going to love. So that is the first way that you can expand on and Improve Your manuscript. The second thing that I would encourage you to do an add more of our examples and this sort of ties in with stories, but with story or really bringing in a narrative with examples. You can get a little more cut and dry, but what’s nice about examples is that you can include different backgrounds. So when I was talking about stories before, I’ll come back to those two examples that I gave you and continue to use those as examples. So one would be the story of new. We talked about, you know, if you had been overweight, how you could overcome that or if maybe you hadn’t been overweight, but maybe you were just living a generally unhealthy lifestyle. Maybe you were eating a lot of fast food and you just didn’t feel well. So if those were stories you could dig into it, but just using them as examples, it’s not going to be quite as in depth as a story, but you could include more of them. And so if your book for example, it, your goal of your book is to get people to let’s say eat their daily servings of fruits and vegetables. Then you could talk about different backgrounds and how people of different backgrounds are able to fit that in. So one background could be somebody who eats a lot of fast food and maybe they just don’t have the ability to go grab ’em fresh fruits and vegetables and so, you know, they’re, the solution for them could be that, okay, we’re going to teach you how to choose the healthiest foods off the fast food menu. Just for example, maybe the next person is a busy mom and she’s just freaked out about trying to get at like actual food on the table. She just doesn’t have the capacity to think through, okay, what’s going to be the best thing for me to serve? And so maybe you just need to teach her habits to really, uh, make serving healthy foods easier. And then let’s say another example would be of a, um, an executive who just doesn’t have time to go out and create healthy meals. So you’re gonna help them maybe meal prep or something like that. But those are all different examples of people from different backgrounds. But again, that you can tie it all together into one theme. And so when you are looking at your overall theme, whether it’s a chapter or a section in your book, think about, okay, are there different ways that you could approach the subject or from different backgrounds, different people who this could apply to and can you just flesh out in a paragraph or two those different examples and how they would apply what you’re teaching? And so really questions to ask yourself with your example as well. Um, think through how much detail your reader needs to drive it home. Maybe you’ve been over things and so you can just gloss through it and say, okay, Hey, remember the example that I gave in the previous chapter? Well, if we’re going to apply what we’re talking about in this chapter to them, instead of talking about eating healthy, we’re going to talk about how they can fit exercise into their life. Well then, you know, you just go through the year three examples and you talk about how those three people could start to live an active lifestyle and start to integrate exercise into their routine, that sort of thing. Um, or maybe you do need to have a detailed example and really get into the nitty gritty pieces of it and maybe you even need to turn that example into a story. There are different ways that you might go about things and really, again, when it comes down to is what’s going to work best for your reader and what does reader need and really what’s is your reader need to understand what you’re trying to teach. And it really again goes back to that transformation that you want them to have as they read your book and when they’ve finished your books. So what kind of examples do you need to give them so that they can get that transformation so that they can make that mindset shift or that lifestyle change or whatever it is you’re trying to help them through in your book. Okay. The third and final way to expand and improve on your manuscript is to include detailed descriptions of action steps and so this is particularly true if you have a how to book. What I would suggest you do is go through your manuscript, especially when you’re editing, but even as you’re reading and think, okay, did I give enough detail? Can my reader follow these steps based on what I’ve given or do I need to go into even more detail and for this, honestly what you might even do is take a draft and send a draft of that section or that chapter out to a couple of people to review it. I’ve done this before and it’s worked beautifully for me. You know, because it’s a short section. It’s a little easier for somebody to make it through as opposed to sending them the whole book for review, which you certainly should do that too, but it’s just a nice way to get feedback while you’re in the middle of it so that you can make changes and so if you’re unsure about what you’re writing is clear or if you don’t know, if you need to go into more detail. Instead of saying, okay, open Microsoft word on your computer, do you need to say, okay, go to this certain folder and double click on this icon. And when the program opens, you need to click on this and this here and there to open a new document, for example. So what level does your reader need the description, uh, can you just gloss over it and say the basic, okay, go do a squat, or do you need to talk them through each and every step of getting into the right position and finding the right alignment for a squat. So it comes down to knowing your reader and knowing their background and knowing what they need to be able to apply what you’re teaching. So dig into whether your reader is at a very beginner level and has somebody even taught them a squat before? Have they ever been exposed to it? Are they a total newbie who needs help or have they been taught the wrong form before? And you need to correct that and you need to go back and tell them, okay, I don’t mind you to get injured. This is actually what you need to be doing. These are all people from different backgrounds. And so this is why it’s so important to get from on who your reader is, because then you can deliver the right content at the right level with the right amount of detail to make sure that they are able to really take home what you are teaching. Okay? So there you have it. Those are three ways that you can expand and approve on your manuscript to run through them real quick. The first one is stories. The second one is to add more examples. And the third way is to add detailed descriptions of action steps based on what your reader needs. So I hope that this has been helpful to you. I hope that this spurs some are sparks, some little ideas in your head about how you can improve upon your books manuscript and how you can do a little bit of self editing to Really Improve Your manuscript either before you self publish it or before you send it off to your editor. Um, if you have any questions about my editing services or if you just want to learn a little bit more about how I can help you improve your book. Had to my services page, you can find that at bloggertoauthor.com/services. You can fill out a form there and I can get in touch with you that way to set up a time to talk about your needs and to tell you how I can help you out and help you make your book even better. So thank you for listening. Good luck with your edits and good luck improving your manuscript. And until next time, happy writing.